Workers in two California cities are saving the most in their 401(k) plans and taking fewer loans on them. A third of workers in McAllen, Texas, have a 401(k) loan balance. Workers in San Francisco and San Jose, Calif., are saving the most in their 401(k) plans, a study released May 20 by Fidelity found. Workers in those areas are saving on average almost 15% of their annual salary, including employers’ and their own contributions. When looking at just the employee contribution, San Jose and San Francisco still led other cities, although San Jose beat San Francisco slightly: 11.1% versus 10.4%. However, San Jose employers had the lowest average contribution rate at just 3.5%. The city with the highest average employer contribution was Richmond, Va., at 5.8%, followed very closely by Columbus, Ohio, at 5.7%. Fidelity studied data from 13 million 401(k) investors in metropolitan regions as identified in the 2013 Census Estimate for the report. Workers in Raleigh, N.C., are also committed to saving, with an average combined contribution of 14% of their salary. Those in Houston and Hartford, Conn., are saving almost as much: 13.9% and 13.8% respectively. Excluding employer contributions, Honolulu, Boston and Bridgeport, Conn., completed the top five at 9% each. In fact, not only were workers in San Francisco and San Jose saving more, they have some of the lowest rates of outstanding 401(k) loans. Just 11% of workers in San Jose and 13% of workers in San Francisco have an outstanding loan balance. The only city with a lower rate was Madison, Wis., at 10%. The good behavior among California workers stops there, though. Close to a third of workers in Riverside and Bakersfield have outstanding 401(k) loan balances. An even third of workers in McAllen, Texas, had an outstanding loan balance. 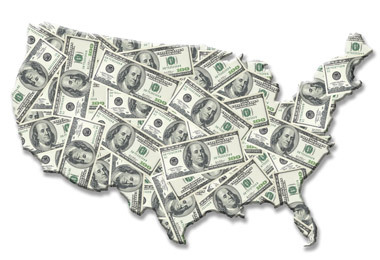 Check out Top 10 Smartest States for Financial Literacy on ThinkAdvisor.